The Piping Profile in general can be considered as a complex and rigid piping network consisting of various piping components, which have different diameters and weights. At the same time the above network is also subjected to temperature change while switching from installed to operating condition (and visa versa) resulting into its thermal growth in various directions in proportion to the length of pipes. The structural integrity of the above network must therefore take into account the overall weight effect of the profile besides its thermal growth. A satisfactory design of the Piping System should therefore give a careful consideration to achieve the above requirement. This is generally accomplished by providing external attachments (known as pipe supports) at various locations of the piping profile. 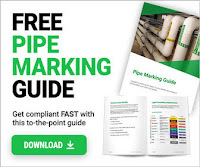 This document deals with the basic purpose of the pipe supports, classification based on construction / functions and a few typical types of pipe supports. In general it deals with metallic piping systems only. Supports are required to support the line during all conditions i.e. during operation as well as during testing. In case of vapor line this difference will be very large due to hydro testing. Supports should be designed for this load (unless otherwise decided in the project). Some times line is capable of having longer span but load coming on the support may be very large (especially with large diameter pipe lines). Then to distribute the load uniformly, more number of supports should be provided with smaller span. Note : 1. It may be noted that during testing condition there is no thermal load. 2. All spring supports are locked during testing. Whenever thermal expansion is restricted by support, it introduces additional load on the support. Support must be designed to take this load in addition to all other loads. Wind introduces lateral load on the line. This load is considerable especially on large diameter pipe. This tends to sway the line from its normal position and line must be supported guided against it. In case of large diameter overhead lines, supported by tall support extended from floor, wind load introduces large bending moment and should be considered critically. The earthquake is normally associated with horizontal acceleration of the order of 1 to 3 m/sec2. This is around 10% to 30% of the gravitational acceleration and introduces horizontal force of about 10 to 30% of the vertical load (or supported mass). While designing support this should be taken care. When the pipe is subjected to moving machinery or pulsating flow or very high velocity flow, pipe may start vibrating vigorously and ultimately may fail, particularly if span is large. To avoid this it may be required to introduce additional supports at smaller span apart from other requirements. It may not take axial load, but must control lateral movements. In most of the plants, noise is resulting from vibration and if such vibrations are controlled, noise is reduced to great extent. In such lines, between clamp (i.e. support) and pipe, asbestos cloth is put to absorb vibration and avoid noise. Noise due to pulsating flow can be reduced by using a silencer in the line. Still if it is not below acceptable level acoustic enclosure may be used. insulation over line also helps in reducing the noise. The hydraulic thrust in the pipeline is present at certain point such as pressure reducing valve, relief valve, bellows etc. If the control valve has large pressure differential and line size is more, then this force can be very high. system and may cause failure. Transient condition refers to the start-up or shutdown condition in which one equipment may get heated up faster and other one get heated slower. Due to this the expansion of one equipment which in normal operation will get nullified, may not get nullified and exert thermal load on supports. Standby condition is also similar. If there are two pumps, one being standby and both connected in parallel (as shown), design and operating temp. of both the connections will be same. But the expansion of two parallel legs will not be nullified because at a time only one leg will be hot and another being cold. When for maintenance certain equipment or component like valve is taken out, remaining system should not be left out unsupported. Referring to the FIG-3, support 'S1' will be sufficient but when valve 'V1' is taken out for maintenance there will not be any support for vertical leg. Therefore second support 'S2' may be required to take care of such condition. In shutdown condition all equipment may not be in the same condition as in operating condition. For example, refer the pump discharge line in FIG-4, Point A is resting, Point B & C are spring supports and Point D is the pump discharge nozzle. The springs are, designed based on weights considering the weight of fluid as well as pipeline and thermal movements. But during shutdown condition the fluid may be drained and the pipe becomes lighter. Hence the spring will give upward reaction and shall load the nozzle 'D' beyond permissible limit. In this case a limit stop is used which will not allow the Point C to move up above horizontal level. (However it will allow downward movement during operating condition). Erection condition can be different than the operating condition which should be considered while designing supports. For example for normal operation a long vessel supported by three supports, S1, S2 & S3 is shown in FIG-5. If support S2 is higher, than all load will act at S2 only. During erection if level of S2 is lower then entire load will be divided into two supports S1, S2 only. Therefore foundation of S1, S2 & S3 should be capable of taking such conditions. A pipe line supported by S1, S2 & S3 taken from vessel is shown in above FIG - 6. During operation there will be no weight at S2 & S3 (as it is only guide), but wind condition will be there. Loads due to such conditions must be considered while designing the supports. Thanks a lot Ankit. Imparting knowledge so structured and in such a lucid manner is a great gift indeed. You are doing marvelous work. May God Almighty bless you. Where is Fig 5 and 6 you are making reference to? I think i need to update the article.. i'll update it asap and will comment again here so that you may get notified again.